Book Report: “Blue Highways” by William Least Heat-Moon | So Many Exciting and Beautiful Places! This is the seventh of the cited books that I have read so far, and each one immediately becomes my favorite. I hope the five remaining books will be equally rewarding. William Least Heat-Moon is of English, Irish and Osage heritage, and his birth name is William Lewis Trogdon. His father called himself Heat-Moon, and his older brother calls himself Little Heat-Moon, therefore, William decided he is Least. 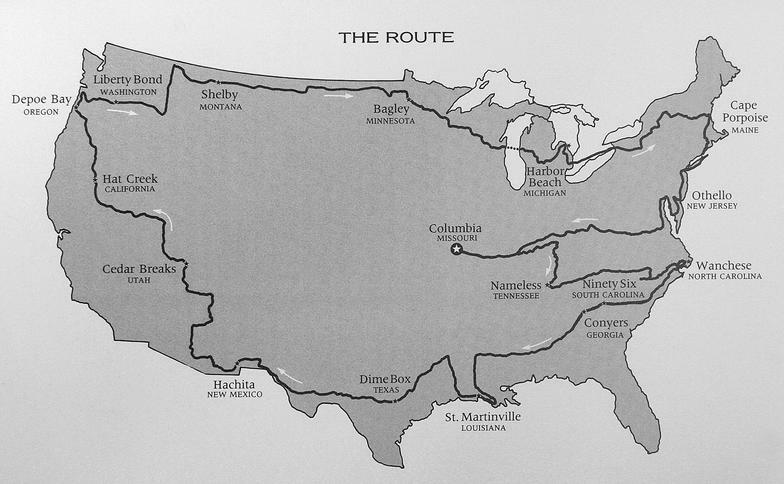 In 1978, after losing his job as an English professor, and learning that his wife was seeing another man, William Least Heat-Moon set off from Columbia, MO, on a journey that circled most of the United States, His goal was to travel only backroads, the highways drawn in blue in the old Rand McNally road maps. He turned an old van into a traveling camper that he named “Ghost Dancing” for its grey color, and covered 13,000 miles in the next three months. Along the way he learns the stories of many people, which are the stories of America. He, in turn, shares those stories with the reader, along with facts and histories of the areas he travels to and through. This entry was posted in Book Review, USA Travel, William Least Heat-Moon and tagged Blue Highways, William Least Heat-Moon. Bookmark the permalink.